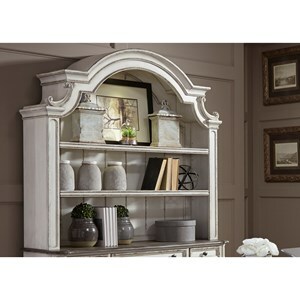 Traditional in style this grandly scaled hutch is fully functional and can be paired with the coordinating credenza for a full wall unit. Two framed glass doors are paired with arched accents and two shelves with touch lighting to create a focal point for your office. 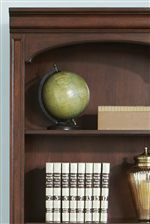 Stacked crown mouldings are highlighted by the rich cognac finish of the case and accented by the dark antique looking hardware. 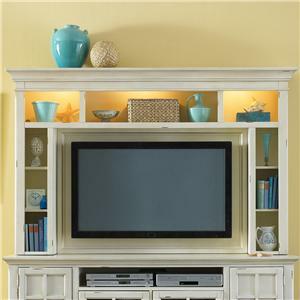 Add this piece to your home office for a fully functioning and organized space. 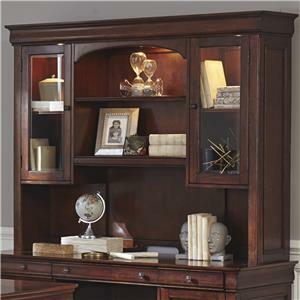 The Brayton Manor Jr Executive Traditional Credenza Hutch with Framed Glass Doors by Liberty Furniture at Van Hill Furniture in the Grand Rapids, Holland, Zeeland area. Product availability may vary. Contact us for the most current availability on this product. Drawer / Shelf Construction All wood English dovetail drawer construction; dust proofing; screwed flush mounted back panels. 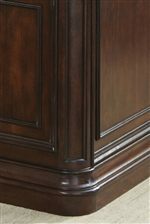 Bathed in a beautiful cognac finish over cherry and birch veneers this executive office collection will add traditional elegance to your home. 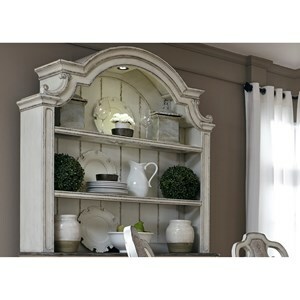 Constructed with stacked crown mouldings, rounded pilasters and arched accents this collection emanates classic style. 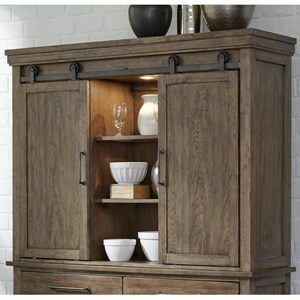 Select doors are made with glass and wood framed for added polish. 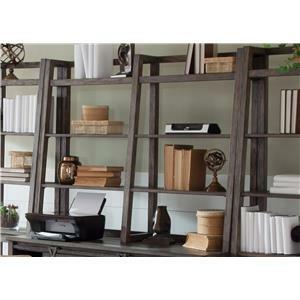 Create a home office that makes working comfortable and luxurious. 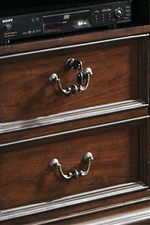 The Brayton Manor Jr Executive collection is a great option if you are looking for Traditional furniture in the Grand Rapids, Holland, Zeeland area. 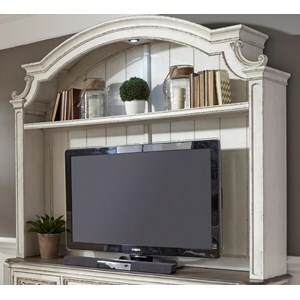 Browse other items in the Brayton Manor Jr Executive collection from Van Hill Furniture in the Grand Rapids, Holland, Zeeland area.